Any person or group of persons who access or rely on this Website or the information contained herein does so at their own risk. By accessing this Website You are deemed to have read and agreed to the following terms and conditions below. These terms and conditions become effective when you access this site for the first time. These Terms and Conditions are subject to change without notice, from time to time in our sole discretion. You are responsible for being familiar with the current version of these Terms and Conditions posted on the Website during each visit. If you do not wish to be bound by these terms and conditions, do not access this website. For purposes of these terms and conditions, “Client”, “You” and “Your” refers to you, the person accessing this Website and accepting the Company’s terms and conditions. “The Company”, “Ourselves”, “We” and “Us”, refers to Afrinvest (West Africa) Limited and its subsidiary companies “Afrinvest Securities Limited l” (ASL) and Afrinvest Asset Management Limited (AAML)“Party”, “Parties”, or “Us”, refers to both the Client and the Company, or either the Client or the Company. 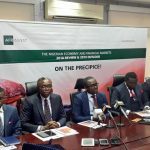 While Afrinvest (West Africa) Limited attempts to ensure that the information on this Website is accurate, current, complete, fit for its intended purpose and compliant with the relevant Nigerian Legislation and regulations as at the time of access, this site and the online services are provided “as is”. 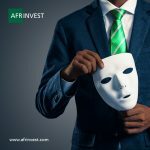 Afrinvest (West Africa) Limited makes no representation or warranty, whether express or implied as to the accuracy, completeness or reliability of any information on this website. Information provided by you shall be kept confidential and not be used or disclosed in any manner incompatible with the purposes for which they are held. Notwithstanding, You acknowledge that we may disclose and transfer any information that you provide through this Website to (i) the Company, its affiliates, agents or information providers; or (ii) if we have a right or duty to disclose or are permitted or compelled to so disclose such information by law. You consent to the transmission, transfer or processing of such information to, or through, any country in the world, as we deem necessary or appropriate, and by using and providing information through this Website you agree to such transfers. 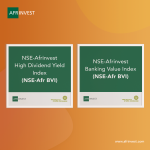 Monitoring by Afrinvest (West Africa) Limited and its subsidiaries. Your use of the products and services on this Website may be monitored by the Company and the resultant information may be used by the Company for its internal business purposes or in accordance with the rules of any applicable regulatory or self-regulatory organization. Anyone using this Website expressly consents to such monitoring, tracking and recording. You are permitted to store, display, analyse, modify, reformat, and print the information made available to you via these services for your own use only. You are by no means, permitted to publish, transmit, or otherwise reproduce this information, in whole or in part, in any format to any third party without the express written consent of Afrinvest (West Africa) Limited. In addition, you are not permitted to alter, obscure, or remove any copyright, trademark or any other notices that are provided to you in connection with the information contained on this Website. The Company reserves the right, at any time and from time to time, in the interests of its own editorial discretion and business judgment to add, modify, or remove any of the information without recourse to You. These Terms and Conditions are not intended to, and will not, transfer or grant any rights in or to the information other than those which are expressly described herein, and all rights not expressly granted herein are automatically reserved by Afrinvest (West Africa) Limited or any third party providers from whom the Company has obtained the information. You are advised to read and abide by any revised or additional terms and conditions that may be posted on this service from time to time concerning information generated by the Company or obtained from specific third party providers. Such third party providers shall have no liability to you for monetary damages on account of the information provided to you via this service. Afrinvest makes no warranty whatsoever to you express or implied, regarding the security of the site, including with respect to the ability of unauthorized persons to intercept or access information transmitted by you through this service. Afrinvest also makes no warranty or representation, whether express or implied, that the information or files available on this Website are free of viruses, destructive materials or any other data or code which is able to corrupt, compromise, jeopardize, disrupt, disable, harm or otherwise impede in any manner the operation of a computer system, computer network or your hardware or software. You accept all risk associated with the existence of such viruses, destructive materials or any other data or code which is able to corrupt, compromise, jeopardize, disrupt, disable, harm or otherwise impede in any manner the operation or content of a computer system, computer network or your hardware or software. Afrinvest makes no warranty, express or implied, concerning this service. The services provided by us are on an “AS IS” basis at your sole risk. The Company expressly disclaims any implied warranty of merchantability or fitness for a particular purpose, including any warranty for the use or the results of the use of the services with respect to their correctness, quality, accuracy, completeness, reliability, performance, timeliness, or continued availability. Neither Afrinvest nor any of its third party providers shall have any responsibility to maintain the data and services made available on this Web site or to supply any corrections, updates, or releases in connection therewith. Availability of data and services are subject to change without notice. Please remember that past performance is not necessarily a guide to future performance, and that there can be no assurance that comparable results will be achieved. The value of units of securities and/or investments and the income from them can go down as well as up and investors may not get back the amount originally invested. Exchange rate changes may cause the value of investments made by offshore investors to rise or fall. For further details on any of the products mentioned on this Website, please read the relevant offering documents or prospectus. Content on this Website is for informational purposes only without regard to any particular user’s investment objectives, financial situation, or means, and Afrinvest is not soliciting any action based upon it. Information is not to be construed as a recommendation; or an offer to buy or sell; or the solicitation of an offer to buy or sell any security, financial product, or instrument; or to participate in any particular trading strategy in any jurisdiction in which such an offer or solicitation, or trading strategy would be illegal. Certain transactions give rise to substantial risk and are not suitable for all investors. The fact that Afrinvest has made the data and services provided on this Website available to you constitutes neither a recommendation that You enter into a particular transaction nor a representation that any product described on this Website is suitable or appropriate for you. Many of the products described on this Website involve significant risks, and you should not enter into any transactions unless you have fully understood all such risks and have independently determined that such transactions are appropriate for you. Any discussion of the risks contained herein with respect to any product should not be considered to be a disclosure of all risks or complete discussion of the risks which are mentioned. You should not construe any of the material contained herein as business, financial, investment, hedging, trading, legal, regulatory, tax, or accounting advice nor make this service the primary basis for any investment decisions made by or on behalf of you, your accountants, or your managed or fiduciary accounts, and you may want to consult your business advisor, attorney, and tax and accounting advisors concerning any contemplated transactions. If access to this Website is unavailable, delayed or limited or if this Website does not operate quickly and efficiently, you may be unable to transmit your instructions for transactions and other matters, or such instructions may not be promptly executed or you may be unable to retrieve information on a timely basis. If your operations are dependent on such communications with Us, and such communications are disrupted or delayed, you may suffer losses. Afrinvest shall not be liable for any such loss. This service may provide links to certain Internet sites (the “Sites”) sponsored and maintained by third parties. Afrinvest is providing such links solely for convenience to You. Accordingly, Afrinvest makes no representations concerning the content of the Sites. We do not monitor or review the content of other party’s Sites which are linked to from this website. Opinions expressed or materials appearing on such Sites do not constitute an endorsement by us and should not be regarded as the publisher of such opinions or materials. Please be aware that We are not responsible for the privacy practices, or content, of these sites. We encourage You to be aware when you leave our site & to read the privacy statements of these sites. You should evaluate the security and trustworthiness of any other site connected to this site or accessed through this site yourself, before disclosing any personal information to them. The Company will not accept any responsibility for any loss or damage in whatever manner, howsoever caused, resulting from your disclosure to third parties of personal information. Afrinvest shall have no liability, contingent or otherwise, to You or to third parties, or any responsibility whatsoever, for the failure of any connection or communication service to provide or maintain your access to this service, or for any interruption or disruption of such access or any erroneous communication between the Company and You, regardless of whether the connection or communication service is provided by the Company or a third party service provider. Afrinvest shall have no liability, contingent or otherwise, to You or to third parties, for the correctness, quality, accuracy, timeliness, reliability, performance, continued availability, completeness or delays, omissions, or interruptions in the delivery of the data and services available on this website or for any other aspect of the performance of this service or for any failure or delay in the execution of any transactions through this service. In no event shall the Company be liable for any special, indirect, incidental, or consequential damages which may be incurred or experienced on account of You using the data or services made available on this Website, even where the Company has been advised of the possibility of such damages. Afrinvest shall have no responsibility to inform You of any difficulties experienced by the Company or third parties with respect to the use of the services or to take any action in connection therewith. In the event any of the terms or provisions of these Terms and Conditions shall be held to be unenforceable, the remaining terms and provisions shall be unimpaired and the unenforceable term or provision shall be replaced by such enforceable term or provision as comes closest to the intention underlying the unenforceable term or provision. These Terms and Conditions shall be subject to any other agreements you have entered into with the Company. The user’s access to and use of the Website, and the terms of this disclaimer are governed by the laws of the Federal Republic of Nigeria without regards to the conflict of law provisions. You consent to the personal and exclusive jurisdiction of the courts located within Lagos State of Nigeria. The Company’s failure to exercise or enforce any right or provision of the Terms of Service shall not constitute a waiver of such right or provision or prevent a subsequent enforcement of that or any other right or provision. No waiver of any of the provisions of this or any Agreement shall be effective unless it is expressly stated to be such and signed by both Parties. Afrinvest may in its sole discretion terminate, suspend and/or modify the contents of this Website with or without notice to you. The Company reserves the right to terminate, suspend and/or modify these conditions from time to time as it sees fit and your continued use of the site will signify your acceptance of any adjustment to these terms. You agree that Afrinvest, its affiliates or subsidiaries shall not be liable to you in the event that it chooses to terminate, suspend or modify this Website or your use of this Website. © Afrinvest West Africa 2014. All rights reserved.